SPOKANE (Scrap Monster): The US plastic scrap exports surged higher significantly during the year 2014. The exports from the country crossed 2.2 million tonnes during the year, 14% higher when compared with the exports during the previous year. The US plastic scrap exports during entire year 2013 had totaled 1.93 million tonnes. The revenue from plastic scrap exports by the US climbed higher by around 10% exports to touch $945 million during the year. The country’s export of PET scrap touched record high, registering a growth of over 31% when compared with the previous year. The exports totaled 369,000 tonnes during 2014. 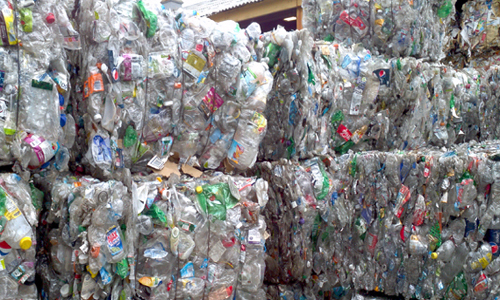 The US plastic scrap exports to China surged higher during 2014. The exports to China witnessed a jump of 5% to $433 million. The other major destinations of US plastic scrap were Hong Kong (US$ 219 million), Canada (US$ 93 million), India (US$ 59 million), Indonesia (US$ 33 million), South Korea (US$ 18 million) and Mexico (US$ 16 million). The implementation of ‘Green Fence’ restrictions by the Chinese administration had reduced the flow of scrap including plastics into the country in 2013. However, the data for 2014 indicates that the flow of scrap has recovered from the lower levels of 2013.